On a roadtrip across US a few buddies and I decided to turn off the main road and ended up coming across to our surprise the bandlands. 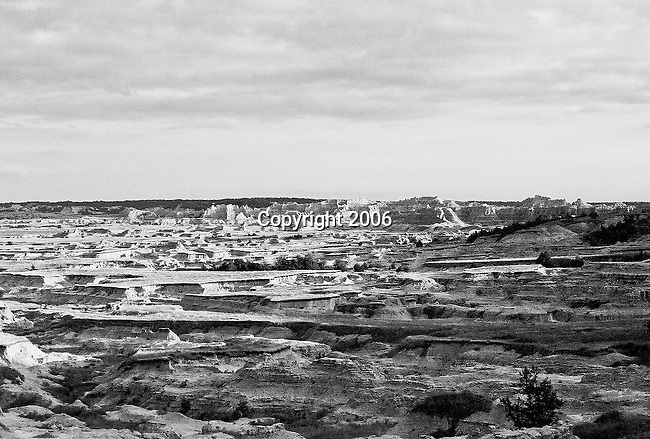 Make that Badlands National Park. This view is located outside of the actual park and is bordered on most sides by cow pastures. Sometimes it pays to make a left. This was taken on a Pentax ME+ Camera on Kodak B/W.